This is the first time that these two sides have clashed in three years and both teams come into this game with a 2-3 record. The hosts will likely be slightly happier with that status but they know that this game represents a chance to get a big win against a Catalan team that have been blowing hot and cold this season. The hosts have lost their last four games against FC Barcelona Lassa but they will come into this game with optimism and great support from the home crowd at the Brose Arena. When it comes to three point shorts, the team from Bamberg lead the way and players like Nikos Zisis, Janis Strelnieks and Bradley Wanamaker have had a big role to play in this success. All of these players will need to be at the top of their game in this one but Brose Baskets have the players to do a number on their more illustrious opponents. If Lucca Staigner and Wanamaker can nullify some of Barcelona’s attacking threat, this is a game that could open for the hosts. An away win sparked hope that the Catalan club would put aside the malaise that has affected them of late but a rare home defeat leaves Barcelona in a position where they will be desperate to pick up wins. With Carlos Arroyo being sidelined of late, Pau Ribas and Tomas Satoransky have had to step up and make things happen for Barcelona, and they still, have the players that can control and influence games. 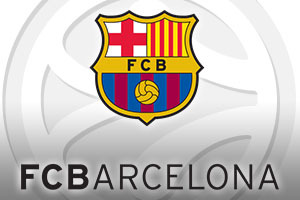 Ante Tomic and Justin Doellman have been instrumental in the offensive play of Barcelona of late and if these players deliver on Thursday night, the Catalans may move to a 3-3 record heading to the halfway point of the group. 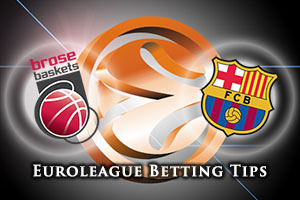 The bookmakers are backing the Catalan club to get back to winning ways and taking FC Barcelona Lassa at -4, with odds of 1.90, is likely to be a good bet. In the Over/Under market, look to go UNDER 156.5 which you can find at odds of 1.90. Bet Now!